It’s that time of year again. The summer is ending, but it’s not quite fall yet. In just a few weeks the weather will change, which means your skin is probably going to go bonkers. Oily becomes dry and dry becomes desert-like. So it’s important to prepare yourself in advance. 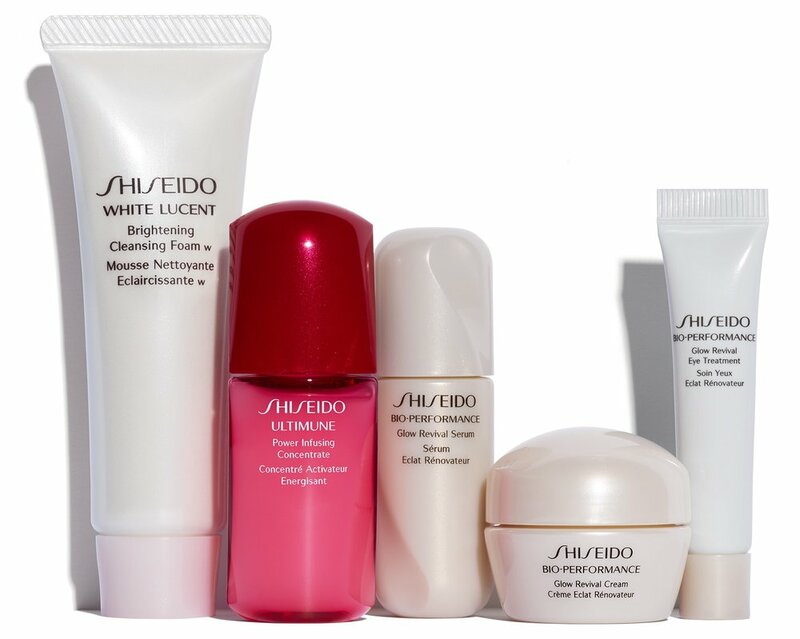 But don’t overthink it—just check out Shiseido instead. 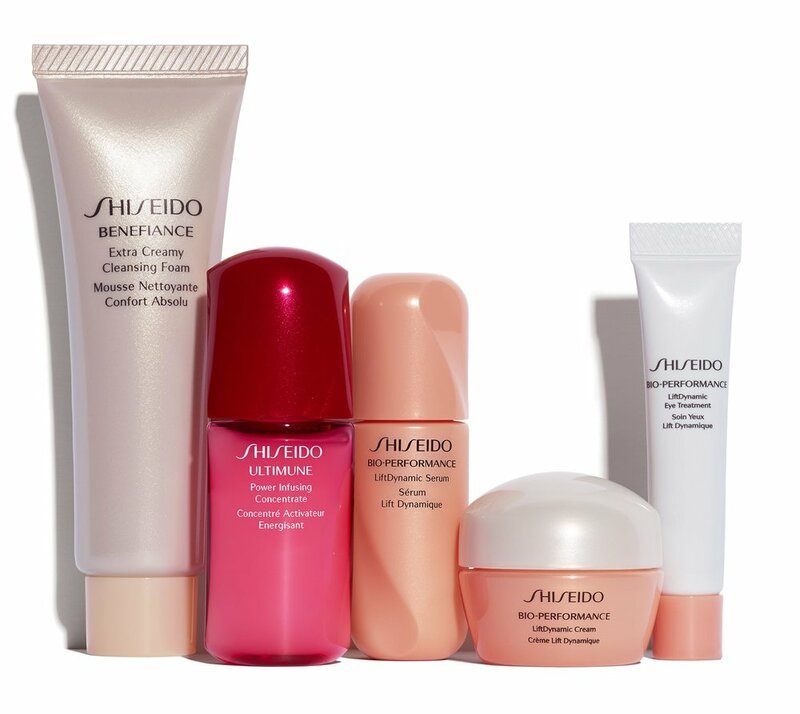 The reason why I am suggesting that you prepare for Fall now is that Shiseido is going to reward you in a big way. With any $75 purchase, you receive an exclusive (who doesn’t love exclusive?) Hello Tokyo tote (pictured above) with a deluxe sample set. If that doesn’t sound exciting enough, you get to choose from five different sets, so you can actually use the right products for your skin concerns. When was the last time you were rewarded for adulting? All of the sets contain everything you need for a full skincare routine. Also, how cute is the tote bag? If you need some product suggestions, here are a few of my personal faves. 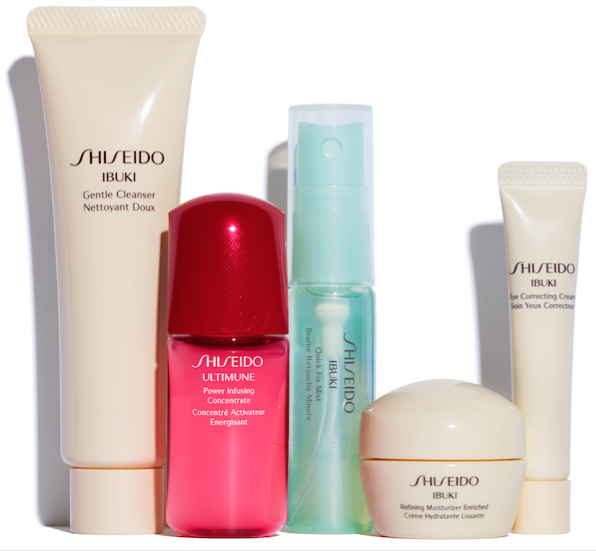 But don't worry— everything from Shiseido is good. I’m obsessed with Shiseido Ultimate Cleansing Oil. If you double cleanse, which I sometimes do, this is the first product you want to use in your routine. It’s formulated to remove sunscreen and foundation. So you can use it after a long day at the beach when you’ve reapplied your sunscreen 100 times or after sitting for eight hours with a face full of makeup at work (and let's be real—also happy hour). And if you’ve had too many cocktails to complete a full double cleanse before bed, don’t worry. You might be left with regrets from the evening (he was a jerk anyway), but you won’t be left with any excess product on your face. 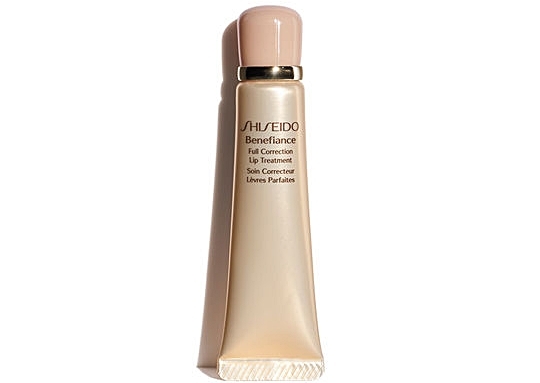 One of my other favorite Shiseido products is their Pureness Foaming Cleansing Fluid. I’ve been using it since high school. It’s not that I’m loyal (okay, maybe a little)—it’s that this cleanser is that good. It’s rich, foamy and makes your face feel squeaky clean. Plus, you only need a small amount (I use a quarter to half a pump), so it should last you until Thanksgiving(ish). So you can check buying cleanser off your list for a while, which means more time for cocktails and naps. Another fall essential is the Full Correction Lip Treatment. If the matte lipstick trend is making your lips dry AF, you need this product. Sorry, I don’t mean to be a downer, but it’s only going to get worse once it starts to get windy. You need to pay extra attention to your lips. The people you kiss will thank you for this. 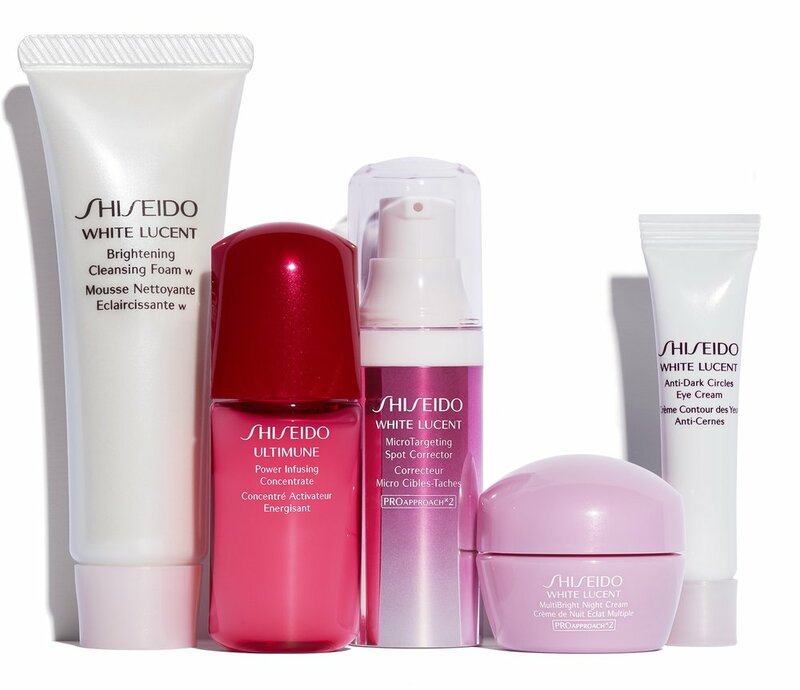 So, seriously check out Shiseido now because the free gift offer only lasts until 8/27/17. Get your fall skincare taken care of, get a travel set, don’t have a fight with the TSA and look beautiful. You don’t have to thank me now for telling you this, but feel free to thank me when you don’t have to retouch your post Labor Day selfies. 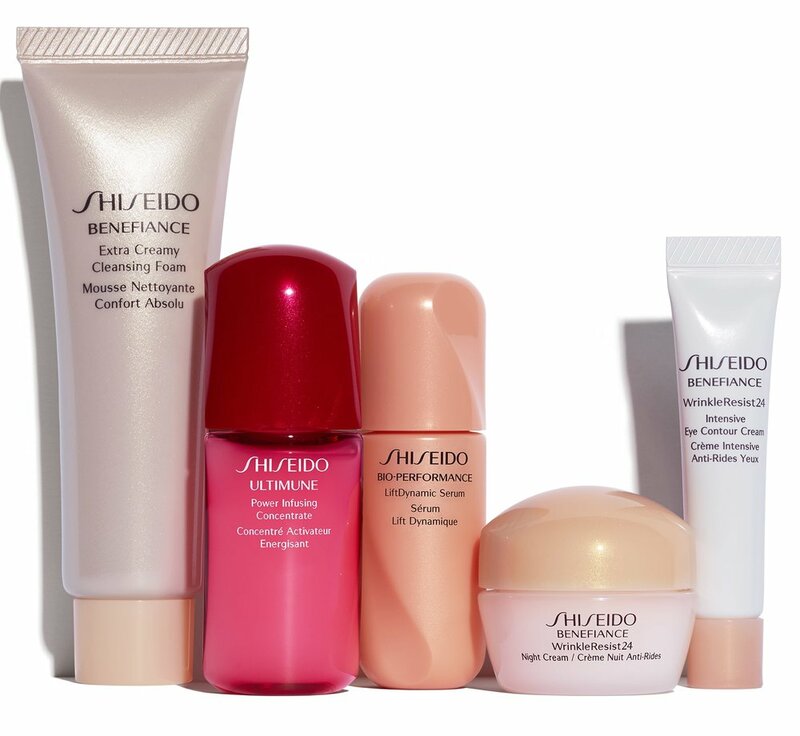 *This was a partner post, but you all know I love Shiseido and have mentioned the brand several times on this blog already. Plus this offer is awesome and you need to know about it.